Aug. 11 will be the last day for the monthly recycling program. As predicted, the city’s recycling collection program will end after this Saturday. Bill Wiitala, the chairman of the city’s Recycling Commission, had earlier warned that unless volunteers stepped up, the program would have to come to an end. “No one came forward to take over responsibilities,” he told The Review this week. He said it is possible that within a year a permanent recycling center will be established, but it would take at least $6,000 to purchase proper containers. For several years the city offered a monthly free drop-off center, held on the second Saturday of the month at the city parking lot at Caniff and McDougall. Recycling Commission members and supporters recently made their pitch at a July city council meeting, hoping to generate interest in the community. 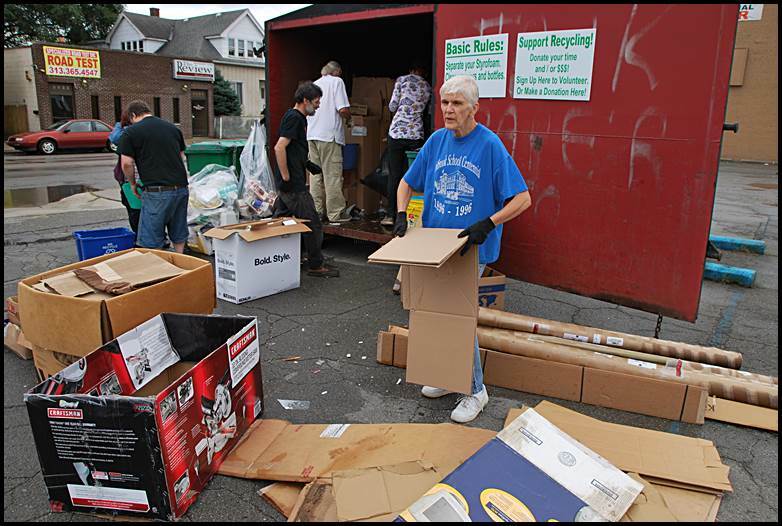 Hamtramck does not have curbside recycling, which many other communities offer. The city has asked its sanitation contractor to include that service, but the company declined, saying there is no money to be made in processing recycled items. 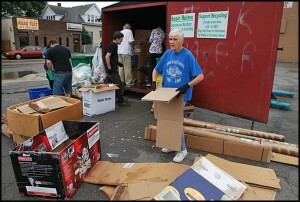 Others say the energy costs to collect and recycle is not worth the effort. The answer, some say, is to cut down on the use of plastic and the amount of packaging that goes into consumer items. Some countries in Europe are reducing the amount of plastic in the waste stream.